In this article, Edward Mendlowitz, CPA, ABA, CFF. shares his views regarding the importance of having a business valued. He identifies 50 ways that a valuation professional can provide something far more valuable than a number. While the valuation profession is under pressure to reduce costs or prepare a report, the business owner is better served in the long run retaining a valuation professional that provides greater insight to operations. The true market value of a business is only determinable when it is sold to an independent buyer–and even then it is only for that time with that buyer. However, there are many reasons for valuing a closely held business that can provide valuable insights to the owner; these same reasons also underscore how credentialed professionals add value to business owners and board of directors. These are also not commodity services that warrant a low fee. A business is an important asset of the owners–it provides their living, independence, a degree of financial security, and, if properly handled, a payout when the owners are ready to retire. It is often more valuable than the value of their personal residence. Running a business causes owners to make dozens of decisions daily, many times without much advance thought and consideration. Unfortunately, it can become easy to lose perspective amidst competing priorities and deadlines. Having the business objectively and comprehensively valued—leading to a Conclusion of Value or a Calculation of Value—provides a look into how others would view the business, the size and scope of the asset that has been created, and identification of important and sometime latent value drives. The process of having the business valued can provide benefits far greater than the nominal cost. Here are 50 reasons for valuing a business. 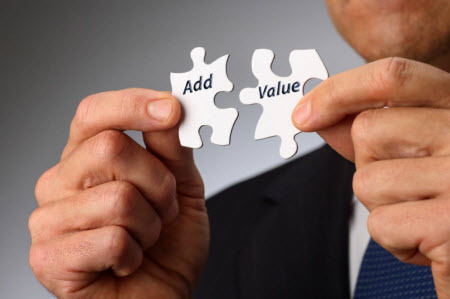 Valuations are serious undertakings and can be extremely revealing; the business owner(s) seeking a low-cost engagement will miss some of the important benefits associated with a valuation by opting to retain a professional–especially one that is not credentialed—to develop the number or value. When properly and thoroughly done, the valuation engagement has the potential of identifying a host of issues and opportunities with the potential of adding value. Those that own an interest in a business should consider having it valued on a regular basis so that they will gain insight, possibly realign the strategy, and position it to grow and create value. Edward Mendlowitz, CPA, ABV, CFF, is partner emeritus with WithumSmith+Brown, PC, in New Brunswick, New Jersey. He has over 40 years of public accounting experience, is a licensed Certified Public Accountant in the states of New Jersey and New York and is Accredited by the American Institute of Certified Public Accountants (AICPA) in Business Valuation and as a Personal Financial Specialist (PFS). The author of 24 books, Mr. Mendlowitz has written hundreds of articles for business and professional journals and newsletters and presented over 200 CPE programs. He writes a twice a week blog at www.partners-network.com Mr. Mendlowitz can be contacted at (732) 964-9329 or by e-mail at emendlowitz@withum.com.